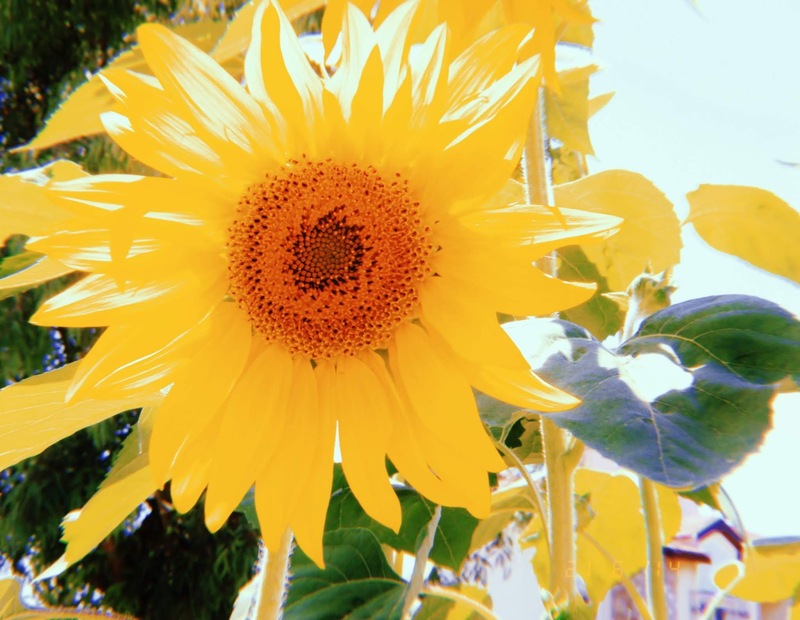 I was nominated by Laura from Merkitty for the sunshine blogger award. Thank you Laura! 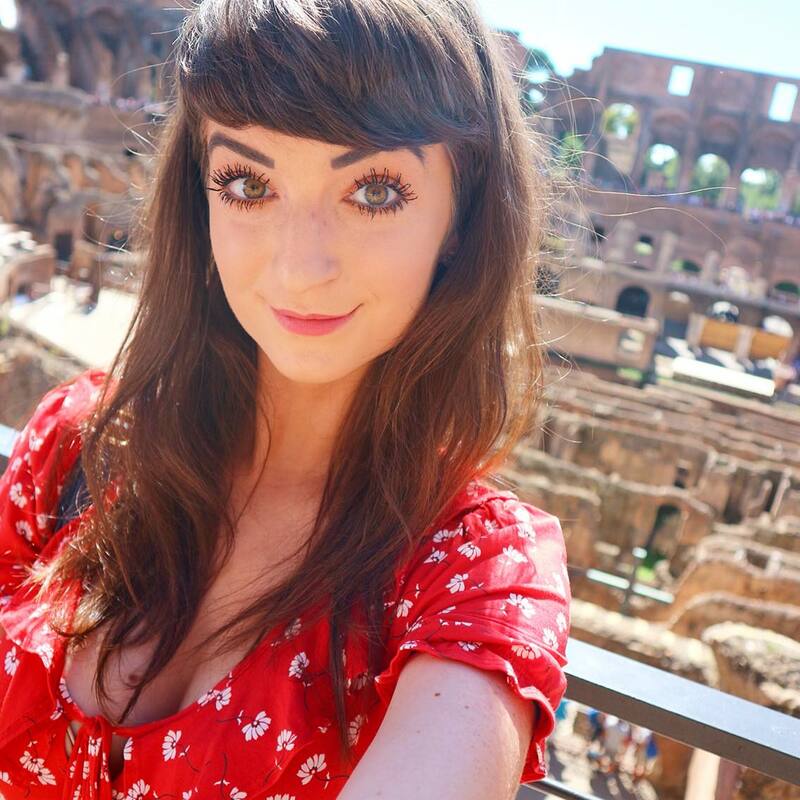 She is such a lovely person and a fellow lover of video games, my kind of person, always supportive of my blog as well as having an amazing blog so make sure you check her out asap! I've got to say hats off to Laura for picking these questions, I found them so thought provoking and quite difficult to answer if I'm honest but that's a good thing as it means they really got me thinking hard about the answers so hopefully you enjoy reading them. 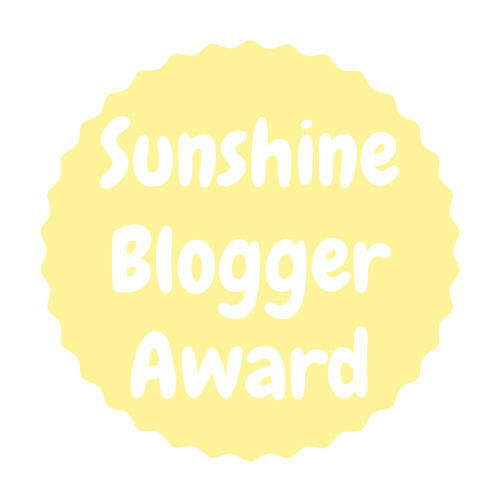 * List the rules and display the Sunshine Blogger Award logo in your post and/or on your blog site. 1. What was the last dream/nightmare that you had and you remember? My last dream/nightmare that I remember so vividly was so strange. I was in Mexico at the time and I always find I have really vivid dreams when I'm away from home which is odd. Anyway I dreamt that my Gran was pregnant and my whole family rushed to the hospital to help her give birth, with my brother holding her hand on one side of the bed and myself and my cousins on the other. Then she had the baby and it suddenly went Jurassic Park style where loads of dinosaurs went on a rampage and my family and I got split up. I was with my Gran driving one of the Jurassic Park jeeps and we ended up being face to face with a velociraptor which decided to let us escape the hospital by opening the locked door for us. Like I say, WEIRD!! Haha! 2. If you could make one thing illegal, what would it be? I think I would pick something that was beneficial to the environment, like not using so much plastic, littering, recycle properly. Something like that. 3. What blog post took you the longest to write? Definitely my trip to New York, that took a long time to put together and is probably one of my favourite posts I've done. Another would be my Disney Diary I did when I went to DisneyWorld for my 21st. 4. You have to buy a pet tomorrow, what is it? A Chocolate Labrador! I've always wanted one and to call him Sebastian after the crab from The Little Mermaid. 5. If you suddenly had £5,000 and you had to spend it...but you couldn't put it in the bank, use it for debts, give it to charity, give it to friends or family, or put it towards anything..what would you buy? 6. What is the weirdest thing you've ever seen someone do? Not too sure to be honest. Maybe seeing someone point blank just lie about something or make something up and the person on the receiving end actually believe it? Or when someone genuinely believes the lies they are telling. 7. You have to make a musical. What is your musical about or what film do you turn into one? Ooh this is fun! Either She's The Man as it is my favourite film, one of the classic chick flicks like Mean Girls or comedies like White Chicks or even one of the classic video games like Super Mario or Sonic. All of which I think would be so unusual, but amazing. 8. What is the most embarrassing thing you've ever done? Lots of things, ha! I cringe at myself on a regularly basis so it's impossible to pinpoint any exact moment haha. The amount of times I come away from a conversation cringing at something I have said or done or something I should have said is alarmingly frequent. 9. Who are your favourite stand up comedians? Paul Chowdry, Russel Howard and John Bishop. I've seen them all live now which is great but I prefer their earlier stuff such as the 'What's Happening White People?' Tour (PC), Wonderbox Tour (RH) and the Sunshine Tour (JB), those are my personal favourites of each. 10. If a movie was made about your life, what actor/actress would play you and what would the title be? I like the idea of someone like Anna Kendrick or Emma Stone. Maybe even as a voice actress for an animation or cartoon story of my life. I don't have an exact title but it could have something to do with lots of colours, video games, rainbows, sunshine, mermaids and travelling the world. 11. What is the worst thing you were caught doing as a kid? I'm not sure if this really counts but it's all I can think of. I accidentally flooded our old bathroom. It's a famous story among my family's long list of the many 'horrific' stories about me as a child (lol). Basically, I ran a bath whilst my Grandparents were looking after me and I went back into my room and got distracted by Relocation, Relocation (LOL I can never watch Phil and Kirstie the same way again) and ages later remembered about the bath and it was past the point of repair. It got through to the ceiling of our dining room, my mam's favourite room of the house (fortunately survived) and it had to get holes punched in it to prevent the whole thing collapsing. Quite possibly the shittest I'd ever felt, I still remember my parent's faces when they came home and my dad didn't speak to me for ages afterwards until I wrote this big apology on a piece of paper. Apparently he still has the piece of paper to this very day. 1. What job did you want to have when you were younger and does it relate to what you are doing now? 2. 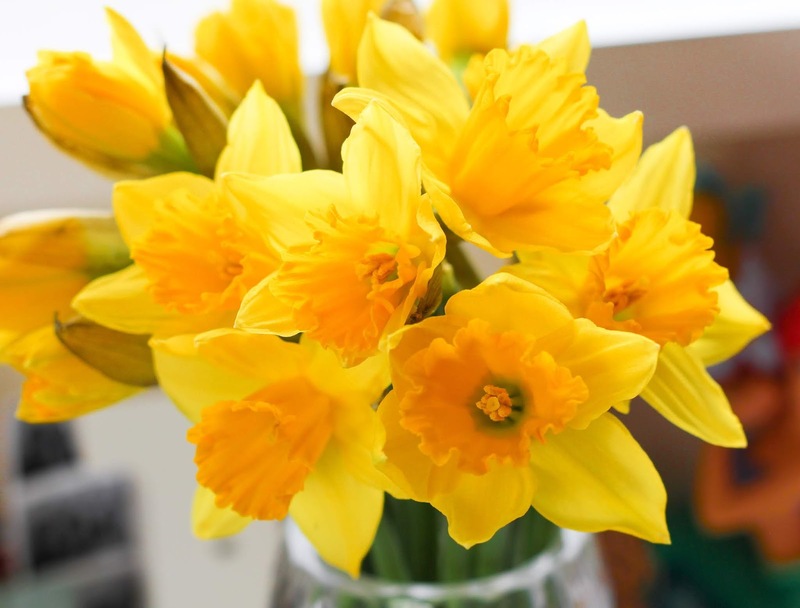 What are 3 highlights of your month so far? 3. Think of your favourite blogger/youtuber, how did you first discover them? 6. Which 3 places in the world would you love to visit if money was no object? 7. What is the oldest clothing item in your wardrobe? 8. Do you own something of sentimental value? If so, what is it? 9. If you could create your own blogging/youtube award/tag, what would you name it? 10. If you could be fluent in another language, what would it be and why? 11. How do you relax once the working day is over? Thank you so much for doing this. You are the best. I really enjoyed reading all of your answers. Your dream was so weird! I wonder if it means anything.. I like to think that dreams have a deeper meaning. I don't know if they do though. I love that you'd call your dog Sebastian after my favourite Disney film. That's the best. I think spending the money on travel counts. I love your suggestions for musicals. I didn't even think about games potentially being turned into musicals but that would be amazing. So many good games to choose from too. I had to laugh that you got distracted by relocation, relocation. That's totally something I'd do. I can imagine you felt terrible though.. that's such a horrible thing to have happen and could easily happen to anyone. That's cute that you wrote out a big apology which your dad still has. I know how odd was that dream please?! haha I always have really odd dreams when I do get vivid dreams. I tried to read up certain elements of it because I love finding out what dreams mean and it had something to do with nurturance and protection (gran), old habits and way of thinking (dinosaur), fears of not being needed (being chased by dinosaur) and new attitudes and new beginnings (birth). Very strange! And such a mixed bag too. & I'm the same, I like to believe dreams do have a bigger meaning than say star signs for instance. Haha I've always loved that name for a dog, I'd even prewarned my boyfriend that this was always going to be the case and I wouldn't except any compromise bahaha :'D and defo the best Disney film! Yayy! Yeah it would be so hard to pick a video game for a musical but it would be cool to see how one would be created. And I'm glad the spending money on travel counts, that was such a tricky one. Haha totally fine if you laughed at that story, it does crack me up too thinking about it as it is such a random show to be distracted by! I recently watched their new show Love it Or List it and I just couldn't not think about that memory haha! Ruined for life! :') apparently my dad keeps scrapbooks and he stuck the letter I wrote in one of them but I've never actually seen it, I think I'd be too embarrassed now to read what I put to be honest haha. Congratulations on the award, and the questions were so fun to read through - lovely post! Haha😂 It was very intriguing as well as entertaining, reading your answers to the sunshine blogger award. Like you, I've done so many embarrassing things in my life(in fact I've at least embarrassed myself more than twice a week). I loved your response to the first question-such a funny dream😂.